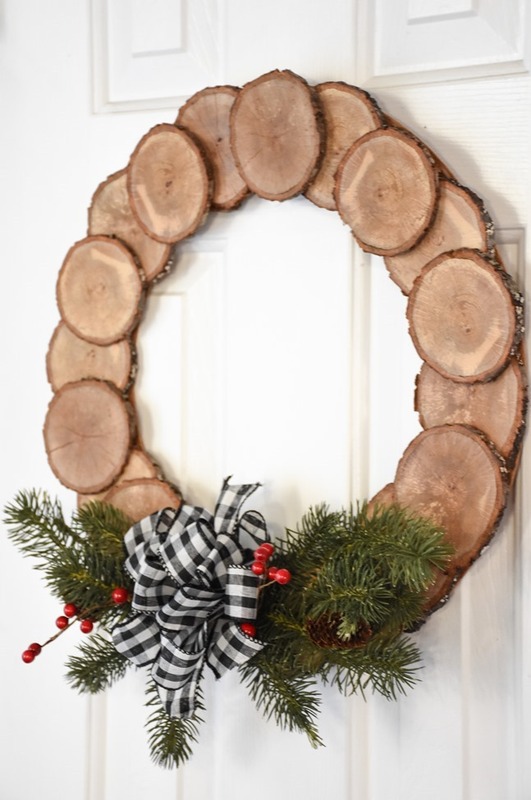 For the 9th DIY of Christmas, I created a DIY Wood Slice Wreath! 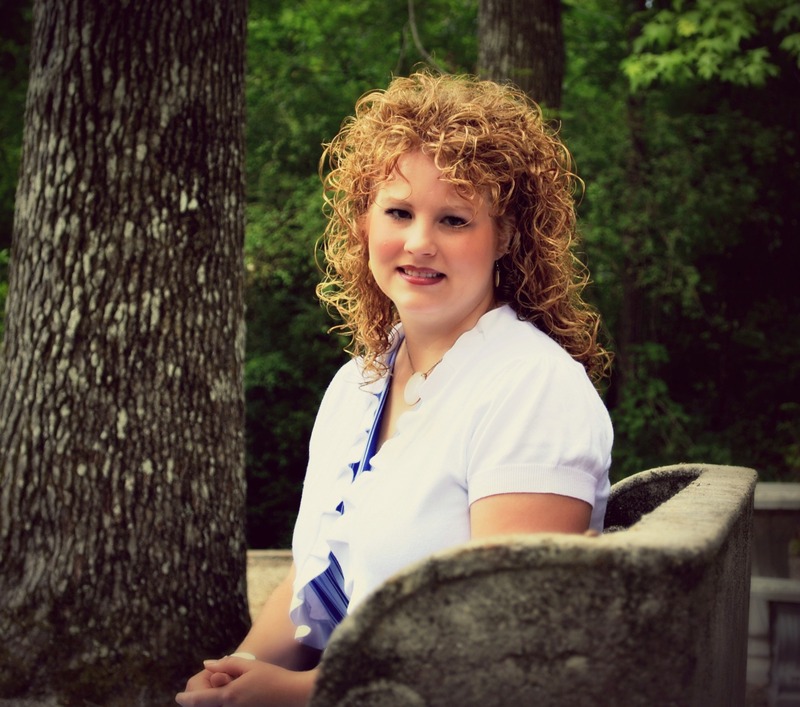 embellishments of your choice – ribbon, faux greenery sprays, berries, etc. 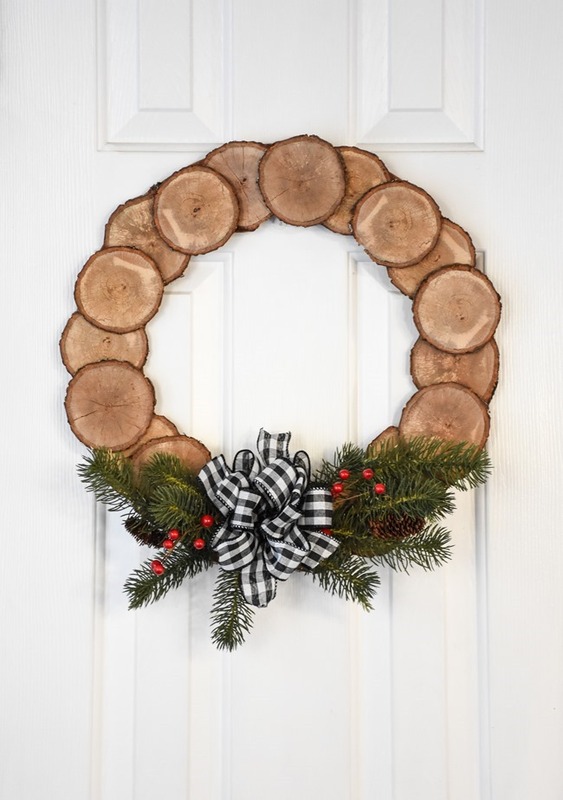 I cut some more wood slices and grabbed this wood wreath form from the attic – it was on a wreath that broke so I am just reusing it for this wreath. Then I laid the slices around the wreath leaving some space in between and using any of the odd shaped ones on the bottom layer. 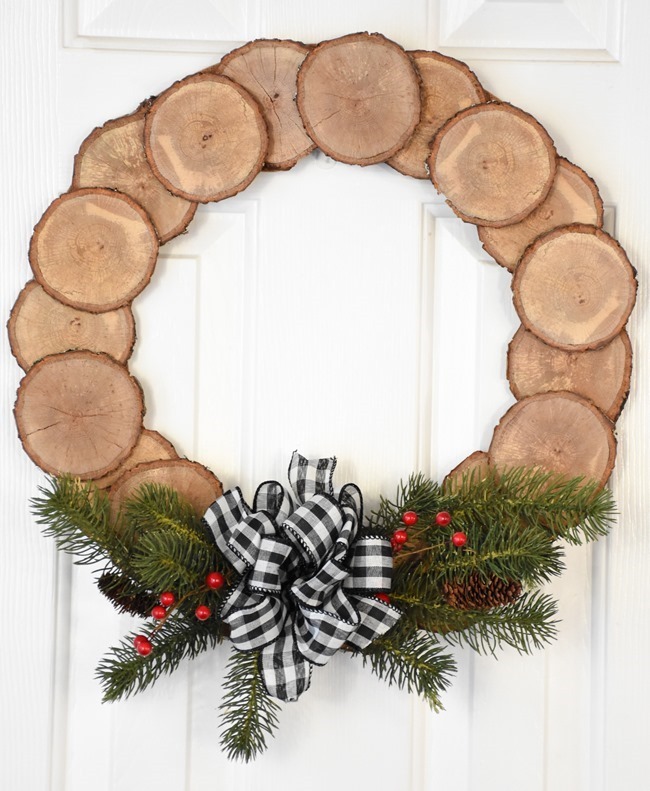 Glue those – I used hot glue just for time sake but the wreath would probably be stronger and not as easy to break if you used wood glue. 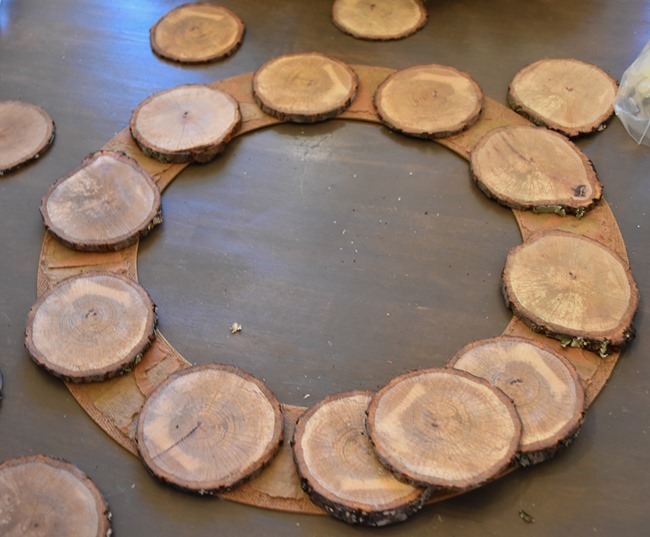 Then lay out your second layer of wood slices laying them over the empty spaces. 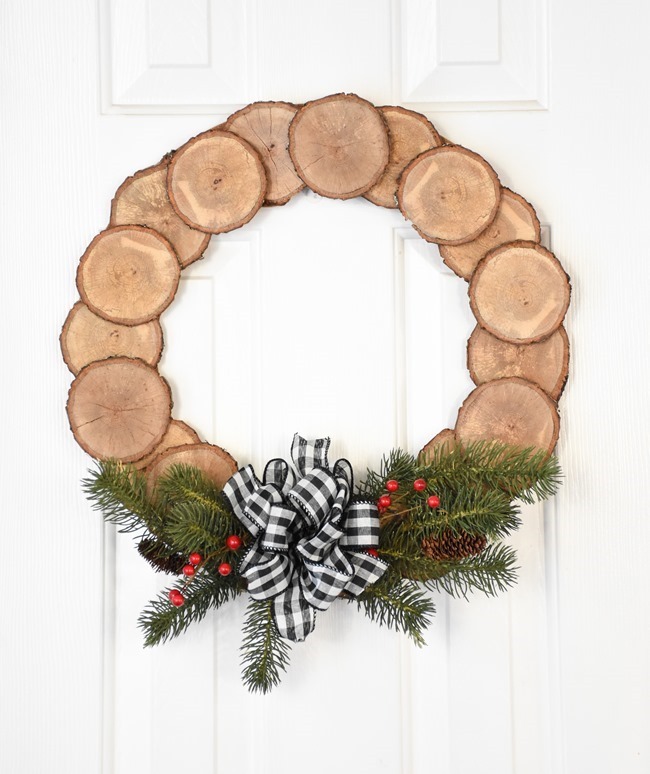 I grabbed some sprigs of greenery, some berries and some leftover ribbon from my Christmas tree to embellish it. 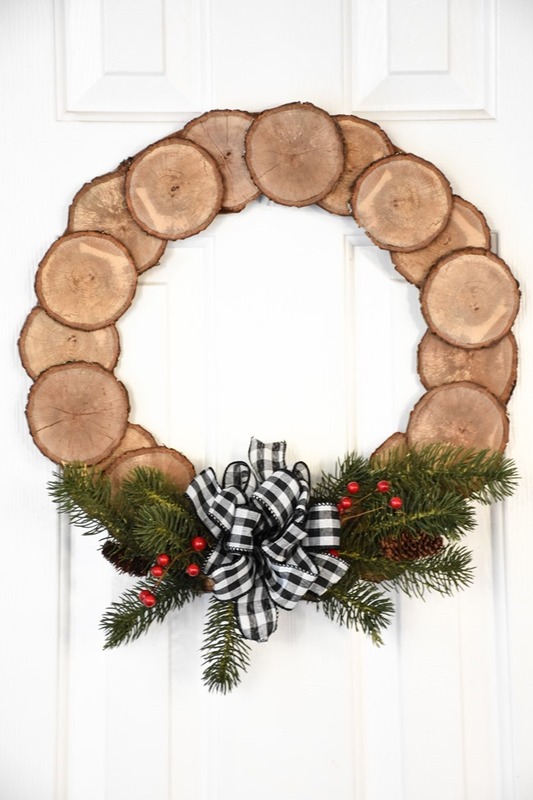 I didn’t want to do anything permanent and glue it on because this wreath would be perfect to use for fall and even into January so I want to be able to change up the embellishments if I want. So I wrapped wire around the greenery sprigs to secure it onto the wreath and then created a bow and just tied it on. Very easy to remove if I want to use the wreath for fall. 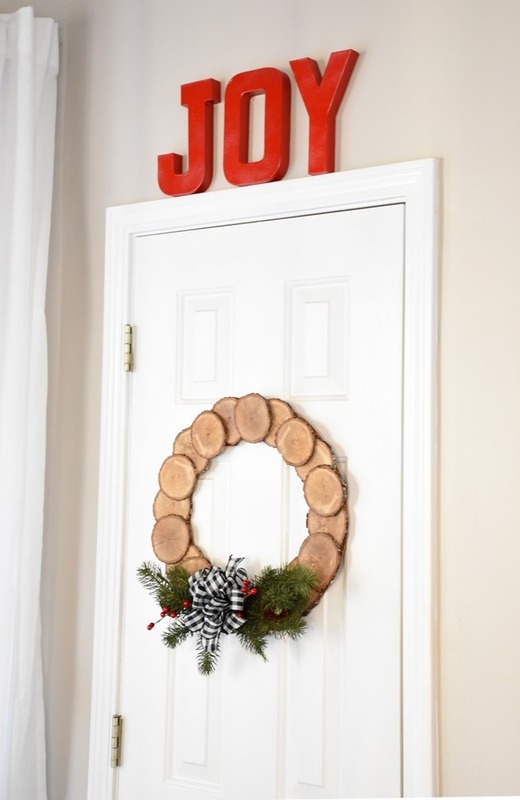 It’s hung on my pantry door, but you can use it anywhere throughout the house! If you wanted to use outside, I would be sure to use wood glue as that would hold up better to weather. There’s just something about the simple beauty of wood grain and natural elements. I love bringing those natural elements inside in creative ways. 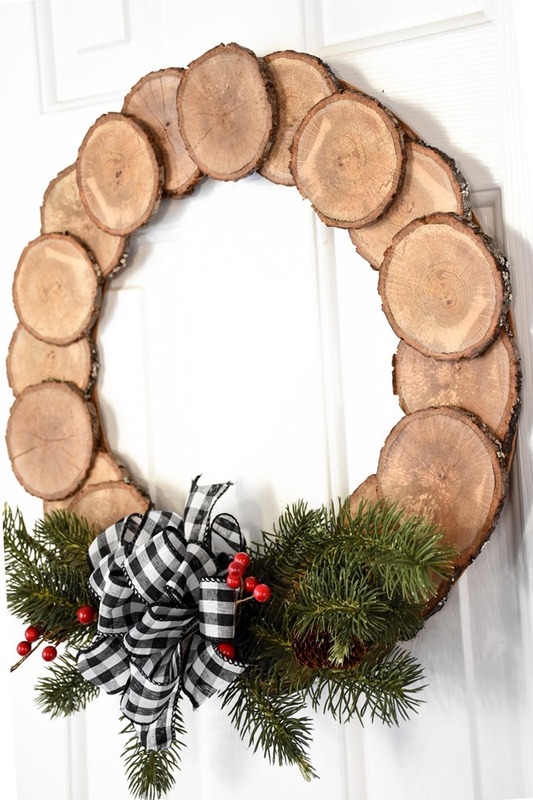 How you would embellish a wood slice wreath and where would you hang it? Love this!!! 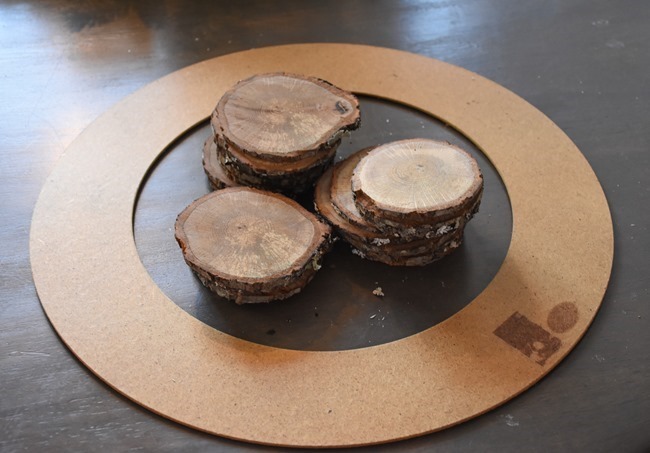 I’m loving wood slices and this is so pretty and easy. Thanks for sharing? You could wood burn designs or put stamps on wood slices to make little decorative that just my opinion..or add wooden ornaments? Love this! Approx what size of slices are these if I were to purchase? I used the trunk from the Christmas tree (the one from the previous year!) and sliced that up – so a lovely pine scent, and recycling as well!